Add a little colour to learning time! 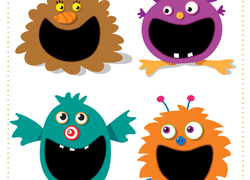 Play with patterns to help your preschooler develop important maths and logic skills. Ready, set... draw! Make your bunny come to life as quick as you can, with this fun race-to-colour. Christmas bingo is a festive and portable game that will get everyone in the seasonal spirit. Play Christmas bingo en route to your holiday vacation spot. Grab a friend and celebrate Valentine's Day with this fun twist on tic-tac-toe. Get the bulldozer to the dig site! 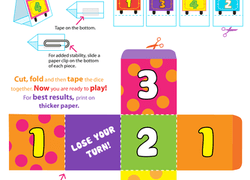 Have fun without getting dirty with this printable board game. 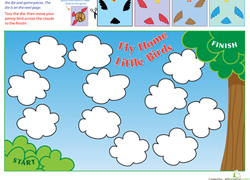 In this printable board game, preschoolers take turns rolling a die and moving their penny birds around the board. They'll have fun and practise counting, too!